Halloween is a special time of year for Pokémon GO – pocket monsters are still monsters, after all. This year’s Halloween treats include some brand-new characters from the Hoenn region, including Sableye, Banette and other Ghost-type Pokémon. 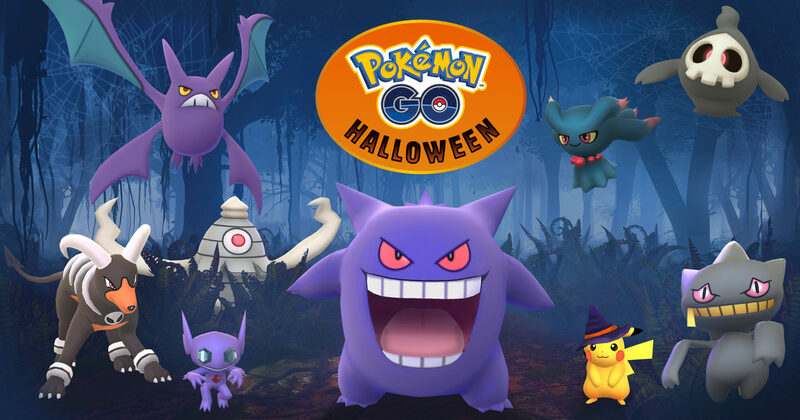 Other treats include a resurgence of Gastly, Drowzee, Cubone, and other spooky Pokémon, plus a new Pikachu to collect, with a special Halloween costume. You can also dress up your avatar by wearing Mimikyu’s Disguise Hat. Halloween would be nothing without candy, so naturally you’ll earn extra Candy while you’re out trick-or-treating. During the celebration, you’ll earn double the amount of Candy from catching, hatching, and transferring Pokémon, plus your buddy will find Candy twice as fast. The in-game shop will be stocked with special boxes, so you can stock up on Raid Passes and Super Incubators. The Halloween festivities are already underway, running right up until just after Halloween, ending November 2 at 1 pm PDT. Check out the Halloween trailer below and let us know what you’re hoping to catch while you’re trick-or-treating.